No one likes the smell of urine. It has a very pungent and unique odor that can be identified quickly by anyone. The smell tends to linger and can drive you crazy. 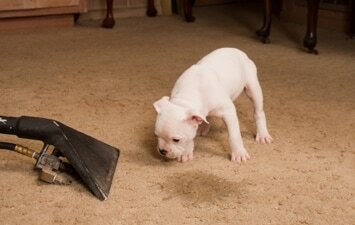 The woodlands carpet cleaning knows exactly how to deal with this issue, and bring the freshness back into your carpet. The smell can be tricky to deal with, but our years of experience has made us urine experts. When you find yourself in the unfortunate situation where urine has been introduced to your carpet and will not go away, get a hold of us and we will deal with it quickly. There are proteins in urine that are responsible for the foul odor. These proteins need to be broken down by a solvent and extracted to completely eliminate the source of the smell. The problem with trying to do this on your own is the extraction part. Most people do not have a steam cleaner and extractor at their home. They are expensive and hard to maintain. We have this equipment because it is our job. The solvents used can sometimes be harsh and should be handled carefully. All of these are good reasons to let a professional cleaning company do the job for you. There is nothing worse than trying to rid your carpet of urine and find out afterwards that the smell is still there. We can guarantee you will not catch a whiff of urine when we are done! 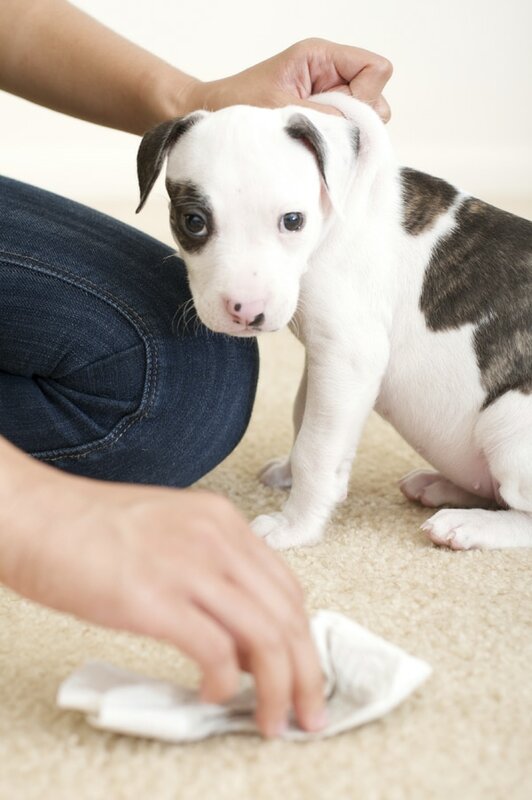 Pets are often the source of urine problems. Male cats are notorious for peeing on things to mark their territory. Cat urine is probably one of the most potent varieties, and by nature is hard to clean up. Once we have identified the location of the stain we can get work in cleaning it up. There really is no way to prevent a cat from peeing inside the house, but you can prevent the smell from staying around for a while. Again you can choose to clean it up yourself but chances are you will not completely get rid of the issue. We are always happy to help when it comes to urine damage so get a hold of The Woodlands carpet cleaners today. We will take care of the smelly problem for you! Dogs are really good at peeing in the house. Generally it is male dogs that are peeing to mark their territory. It isn't always the guys fault though, females can pee too out of fear or excitement. Whatever the issue may be we have the solution to clean it up. Our team is fast and discreet, and urine damage generally does not take long to clean up. Our industrial equipment will make short work of any urine damage. When you find a urine stain we hope you get a hold of us so we can get rid of your issue immediately. Kids can also be the source of urine stains. Accidents happen all the time and no one should feel bad about it. The best thing you can do in that situation is just clean it up as fast as possible and get on with your life. Carpet cleaning in The Woodlands, TX _has a very friendly and experienced staff. We know exactly what needs to be done in order to completely eliminate the smell of urine. When you encounter some urine damage make sure to call carpet cleaning in The Woodlands Texas at (832) 791-4210. From 25202 E Titan Springs Dr, Spring to our Office is only just a 10 minutes car ride.